Genki Sushi was founded in 1968 with the promise of bringing sushi to the masses. Today, now that Kaiten Sushi has become more familiar to the general population,our nextaim is to make our brand synonymous with sushi. We want our brand to be the first thing people think of every time they think of eating sushi. In order to achieve this, weare focusing all our energy on our customers. Nothing gives us greater pleasure than exciting and impressing our customers with each plate we serve,and we believe that remaining true to this commitment will serve to increase our fan base and secure a solid footing in the sushi market. Each and every one of our staff is committed to raising the quality in everything we do in order to excite and impress. 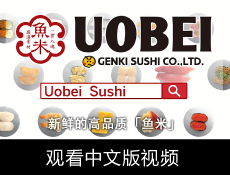 Genki Sushi will continue to pursue the high level of quality commonly associated with sushi in Japan. 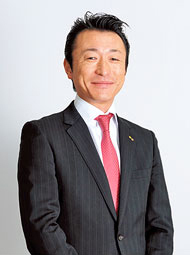 It is necessary to continue to evolve and change things up i order to keep our customers coming back. 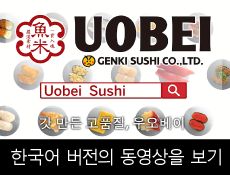 We are committed to improving the quality in everything we do, from the speed in which we deliver our food, the taste of our sushi and freshness of the produce we use to our level of service and the atmosphere in our restraurant. Making small changes and continuing to improve everything we do based on our vision of Better Sushi Today is the driving force behind change and will ensure that we continue to excite and impress. aBacked by the desire of each and every one of our staff to strive for excellince, Genki Sushi will continue to evolve to provide better sushi today.